​Why are natural environments important to individuals and societies? Knowledgeable. They explore concepts, ideas and issues that have local and global significance. 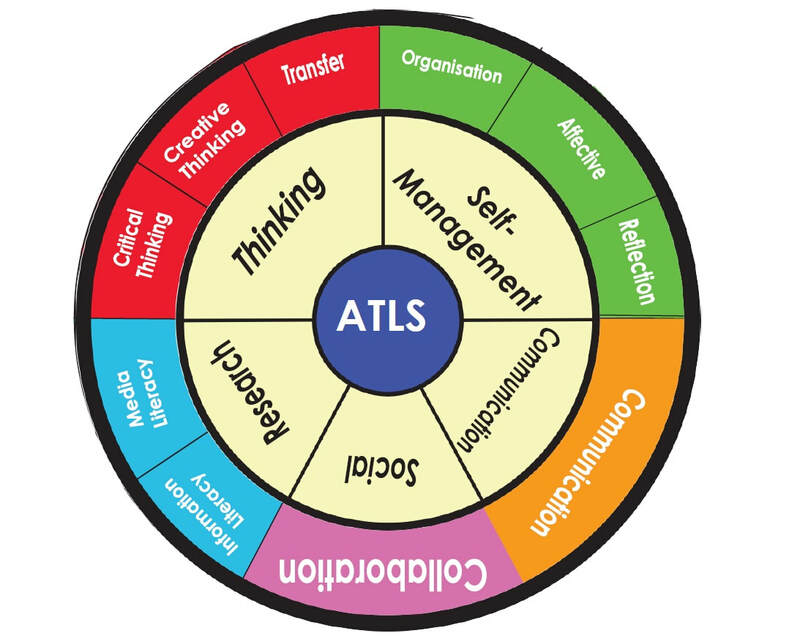 In so doing they acquire in depth knowledge and develop understanding across a broad and balanced range of disciplines. Communicators. They understand and express ideas and information confidently and creatively in a variety of modes of communication. They work effectively and willingly to collaborate with others. Systems are sets of interacting or interdependent components. Systems provide structure and order in human, natural and built environments. Systems can be static or dynamic, simple or complex. The relationship between livings things in different environments can be viewed as a system, and sustainability can help these environments to last into the future. 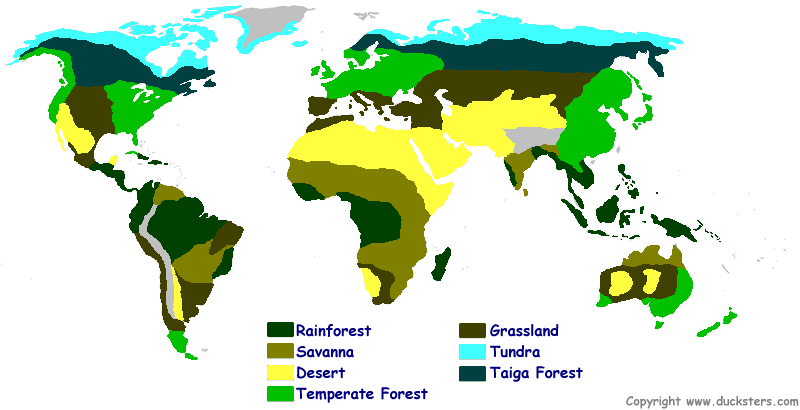 What are biomes and where can they be found? How does climate affect the make-up of a biome? How is climate represented on a graph? How is climate change affecting the natural environments of the world? How do different environments work as systems? What is impact have humans had on different environments? 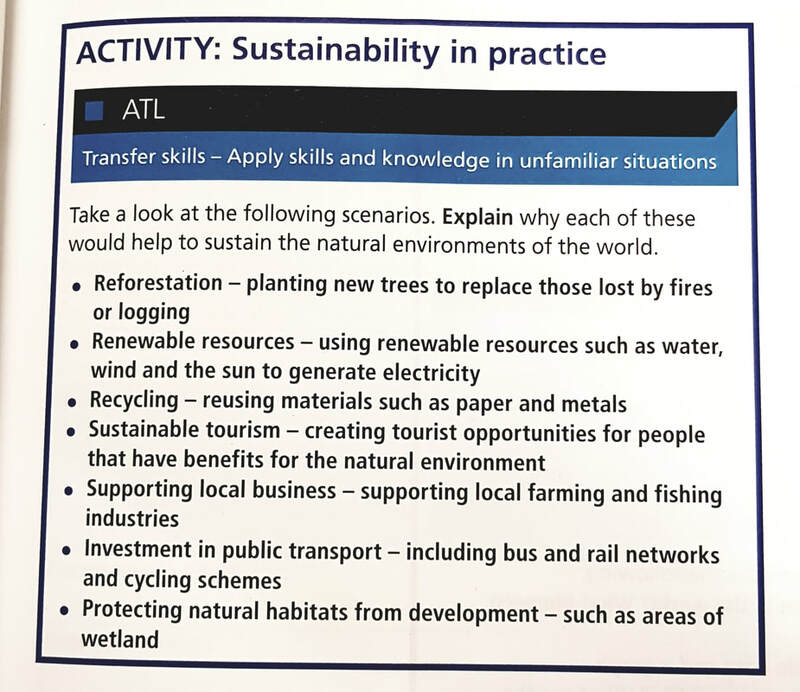 How can sustainability help different environments? What are biomes and where can they be found? An ecosystem is a community of living things that interact with each other and their non-living environment, and may be as large as a desert or as small as a puddle. All ecosystems require energy from an external source – this is usually the sun. ​Biomes are very large ecological areas on the earth’s surface, with fauna and flora (animals and plants) adapting to their environment. Biomes are often defined by abiotic factors such as climate, relief, geology, soils and vegetation. A biome is NOT an ecosystem, although in a way it can look like a massive ecosystem. 1. Read the definitions and copy them into your book using your own words where possible. 2. Research and define any new words, such as abiotic and relief. 3. Using the information on the diagram opposite, explain why tropical rain forests have the highest density of vegetation and deserts the least. ​Presentation techniques for the righteous. Well, Forbes magazine readers, at least. 4. In groups of 2 or 3, ​create a presentation or info-graphic that describes and explains the processes of, and human impacts upon, a biome or ecosystem of your choice. This can be something as large as the marine environment of whole oceans or the specific ecosystem of an Alpine valley such as Lauterbrunnen. Describe and explain the distribution of your chosen biome or ecosystem using an annotated (added information) map or maps. Describe the characteristics of your chosen biome or ecosystem (temperature, soil, flora and fauna, etc.). Explain the relationship of natural vegetation, wildlife and climate in your biome or ecosystem. Describe the impact of human activity on your biome or ecosystem. An example using the Tundra biome shows you some ideas that you can include. Barren tundra lands are home to hardy flora and fauna and are one of the Earth's coldest, harshest biomes.Tundras are among Earth's coldest, harshest biomes. Tundra ecosystems are treeless regions found in the Arctic and on the tops of mountains, where the climate is cold and windy and rainfall is scant. Tundra lands are snow-covered for much of the year, until summer brings a burst of wildflowers. Mountain goats, sheep, marmots, and birds live in mountain–or alpine–tundra and feed on the low-lying plants and insects. Hardy flora like cushion plants survive on these mountain plains by growing in rock depressions, where it is warmer and they are sheltered from the wind. ​The Arctic tundra is changing dramatically due to global warming. Animals that are typically found further south, like the red fox, are moving onto the tundra. The red fox is now competing with the Arctic fox for food and territory, and the long-term impact on the sensitive Arctic fox is unknown. How does climate affect the make-up of a biome? Use pages 30 to 33 of your textbook. It is important that nobody reads the text until told to do so, so keep your book closed for now. ​The task involves accurately reading information and passing that information on orally, a little like Chinese whispers. In groups of 4 or 5, one person is to read a factor for 1 minute. They then explain what they have read quietly to the person next to them so that nobody else can hear. That person then does the same, and so on, until the last person is reached. They then write down what they think the correct explanation and information is. In turn, each member of the group is to be the reader and starter of the chain so that all members of the group have a written explanation in front of them. As a class, all factors are to be read out so that we can reflect upon the quality of the explanations by comparing each answer with the passage in the book. How well was the information understood? What was missed? Complete the task by summarising the the five factors in your exercise book using the correct explanations and language. ​Don't forget to use a title and clear sub-headings. How is climate represented on a graph? Read pages 34 and 35 in your textbook and answer the following questions to check your understanding. 1. What is the hottest month of the year in Buenos Aires? 2. 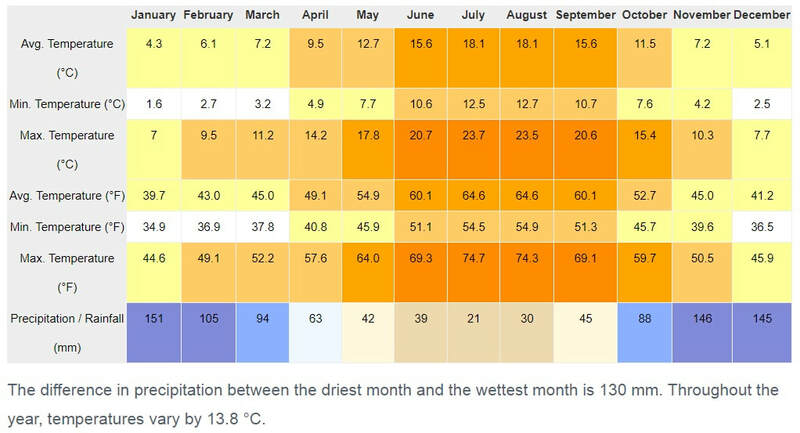 What is the driest month of the year in Buenos Aires? 3. 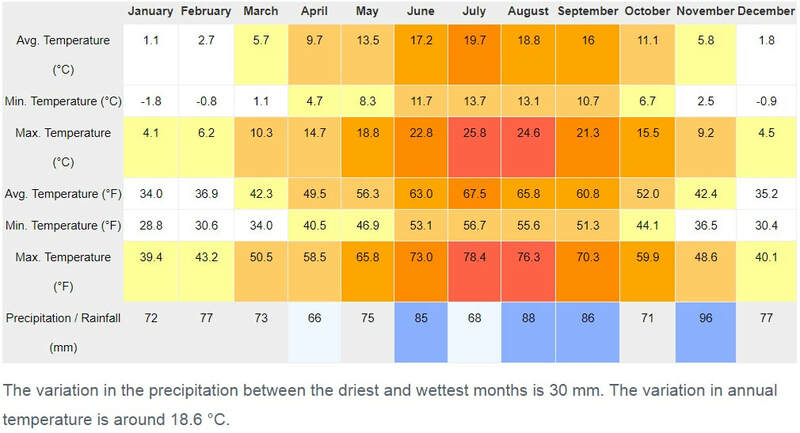 What is the wettest month of the year in Medan? 4. 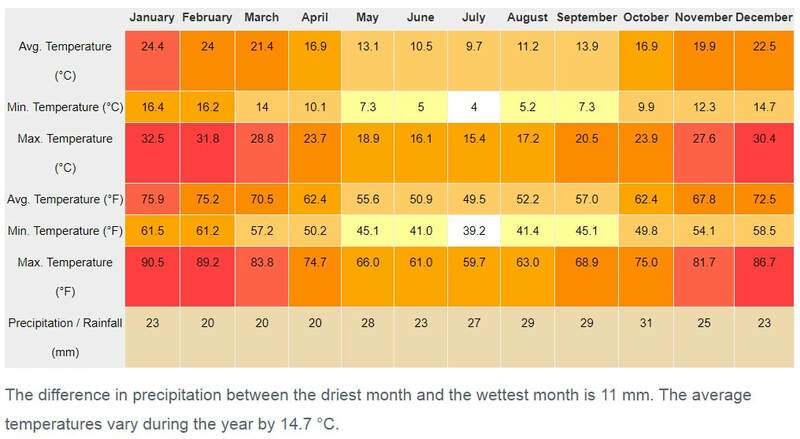 What is the driest month of the year in Medan? 5. Why is it colder in July than it is in February in Buenos Aires? 6. Medan is in a rainforest biome. Using the climate data, explain why rainforests would be able to grow where Medan is located. Using the data, create a climate graph for Geneva. Use avg. temperature in degrees Celsius. Use a full page in your book. Use the correct colours for temperature and precipitation. ​Use the instructions below to ensure accuracy. ​7. Practice makes perfect. Try these sets of climate data from two other different parts of the world. 8. Finally, as you did for Medan, a rainforest biome, use the climate data to explain why Mildura and Seattle have the data and types of climate that they do. ​Use google maps to see where each is located. Check this against expected biome regions. Reflection. Check your thinking by investigating the two locations using the two links below. ​How do environments work as ecosystems? Read page 38 and complete the task. Consider our local environment and then create a food chain of producers, consumers (primary and secondary), scavengers and decomposers. Briefly summarise what each of the interdependent components are and then give one or two specific local examples. ​How does human activity impact upon natural environments? "How does the legacy of colonialism continue to impact upon the human and natural environment?" Use evidence and research from the Congo so as to add specific detail and examples. Some of you may try and extend your thinking by looking at the USA (tobacco and cotton) or Australia (invasive species such as rabbits). For those who wish to know a little more about the situation in the DRC, watch Crash Course below. How is climate change affecting the natural environments of the world? The evidence for the impacts of climate change upon the planet is increasing. Empirical data is now as extensive as ever before, with decades of temperature and greenhouse gas data now available. Accuracy has increased greatly through the use of satellite and computer generated data. Climate models, and how different factors within the environment interact, have become increasingly sophisticated through the use of more powerful computing. How can sustainability help different environments? It is not yet clear what our sustainable future will look like but, with emerging technologies and the improvement of older cleaner fuel sources, many people now look to a post fossil fuel world - including businesses. Since the 1950s, we have experienced unprecedented growth including intensive farming, a technological revolution and a massive increase in our power needs putting even greater pressure and strain on the planet's resources. We are also far more aware of the plight of the developing world and that facing our planet as we now observe both natural and human-caused disasters and the effects that these can have on the ecosystems and on human population. It's vital that we develop new, cleaner technologies to cope with our energy demands but sustainability is not just about the environment. The biggest social activism movement related to the social development side of sustainability, has been programs such as Fair Trade and the Rainforest Alliance in encouraging good farming practices while ensuring farmers who produce luxury goods such as coffee and cocoa receive a decent living wage. Activist and sustainability professionals hope to remove trade barriers in future so that they may benefit everyone, contributing to the economic and social development core of sustainability while promoting good environmental practice. ​Complete the task opposite by writing a short paragraph that explains the role of these sustainable management policies. ​Here is a technique you can use to help explain your understanding and thinking. SEE-I is an easy-to-use and methodological critical thinking technique assisting people in clarifying their ideas. It stands for the following: State it, Elaborate, Exemplify, and Illustrate. State it: Clearly and succinctly state the concept or idea in a single sentence or two. Elaborate: Explain it further in your own words. Exemplify: Provide concrete examples and counter examples of the concept. Illustrate: Provide a picture, diagram, metaphor or analogy of the concept. Essentially, SEE-I begins with a concise statement of the concept (S), followed by further elaboration in your own words (E). Then you are to provide specific examples and counter examples of the concept (E), Lastly, you end with an illustration of the concept (I). You are to submit 3 photographs of the local La Cote area that show and highlight a particular ecological, environmental issue or problem. In particular, the images should show the contradiction between the natural and man-made environment, and the impacts, great or small, that human activity has upon the local environment. On the face of it, we live in a relatively pristine, often rural environment, surrounded by high alpine peaks. As we know, if we look a little more closely, there are a great many human impacts at a range of scales and severities. Photographs are an excellent way to show and exemplar these issues. By taking a range of photographs across the the next few weeks, from different locations, at different times of the day or night, and at a range of scales, you will have a bank of images from which to select the 3 most expressive or striking. You must carefully note the locations of your images and the reasons that they are noteworthy from an ecological point of view as you will need to annotate your selected images so as to explain and justify their selection and the environmental issue being highlighted. Your final 3 photographs, with explanatory text, need to be organised together and copied into your OneNote account in the Assessment section under the title Unit 2 Environments. Below are some examples of contradictory environmental images and explanation of their meaning and context. If you wish to be very ambitious, you could try and create images of extreme degradation like those shown in the link opposite. "Sunset over science", Belinda Bateman, UK. ​In early December 2015, storm Desmond crashed into the UK, producing the UK’s highest ever 24-hour rainfall total. It flooded the Lyth Valley in Cumbria, submerging many farms and houses. ​Slamet is a builder in Palangka Raya, Central Kalimantan, Indonesia. All construction work had stopped due rampant peat fires blanketing the region in a toxic smog. He casts his net into a polluted canal, hoping to make a catch. “Better a dirt fish than no fish at all!” he says. And finally...if you think school and education is all about essays and revision, think again. A sludgy image of the grey Rhine under grey skies, by the German artist Andreas Gursky, has sold for $4.3m (£2.7m) at a Christie's auction in New York, setting a new world record for a photograph. 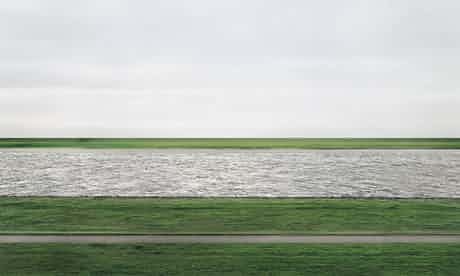 The desolate featureless landscape shown in Rhine II is no accident: Gursky explained in an interview that it is his favourite picture: "It says a lot using the most minimal means … for me it is an allegorical picture about the meaning of life and how things are." In fact the artist carefully digitally removed any intrusive features – dog walkers, cyclists, a factory building – until it was bleak enough to satisfy him. Christie's described it as "a dramatic and profound reflection on human existence and our relationship to nature on the cusp of the 21st century". ​Well, with around 20% commission on sales, they would, wouldn't they. ii. summarise information to make valid, well-supported arguments. ii. begins to identify connections between information to make simple arguments. ii. summarizes information to make some adequate arguments. i. completes a suitable analysis of concepts, issues, models, visual representation and/or theories ii. summarizes information in order to make usually valid arguments. ii. summarizes information to make consistent, well-supported arguments.